Along with the new Taken King expansion, Bungie fine-tuned Destiny’s PvP matchmaking. It’s not yet clear whether that has been an improvement. I’ve been playing more and more PvP lately. It’s a logical progression—the PvE stuff has reached a predictable tempo for me, so I’ve been getting ready for Trials of Osiris and Iron Banner to come back next week. Generally speaking, I’m having a great time with the new maps, modes, and subclasses. I’m psyched to see how it all shakes out in IB and Trials. I’m less sold on the new matchmaking system. (For those not in the know, matchmaking is the behind-the-scenes stat-comparing that a competitive game does to pair players against similarly skilled players.) Year two’s matchmaking has been billed as an improvement over year one. While I’m sure most of the new stuff is happening out of sight, there are some new visible changes, too: The game now more actively breaks up teams after lopsided matches, and the new “mercy rule” ends a match early if either team runs away with the score. I like both of those ideas in theory, but in practice, I’ve had a rougher go of it. I’ll often get dropped into in-progress matches, and when I do, I’m almost always on the losing team. I’ll stick it out and let that match end, and the game will tell me it’s breaking those teams up to find a better matchup. Then… well, sometimes I’ll then be dropped into another in-progress game—on another already losing team—and we’ll lose again. Other times I’ll be on a losing team and in our next match-up, I’ll see my team’s best player has been moved over to the opposing team. When I go and play Destiny PvP by myself—as opposed to playing in a fireteam with friends—I generally find myself on losing teams. I haven’t been keeping close track, but anecdotally I’d say that when playing solo, I lose seven or eight out of every 10 Control or Rift games that I join. Three-player game-types like Salvage and Elimination are much worse. Half the time, the match doesn’t even fully play out—once my team starts losing, players will just start quitting, which effectively ends the match for everyone. The obvious explanation for my losing tendencies is that I’m the problem, since I’m the only thing all those matches had in common. But even that (depressing) conclusion doesn’t add up—sometimes I’m in the middle of the pack, but other times, I’m our team’s all-star. It doesn’t really seem to make a difference. Furthermore, most matches I’m in are extremely lopsided. If I’m winning in Control, we’re dominating the other team. If I’m losing, my team is getting crushed. Every now and then I’ll get in a really close Control or Rift match, and it’ll be exciting and fun. But a lot of games are routs. There are a number of other possible explanations for all this. My experience could just be unique. It could be that there are a bunch of new players in the game now, and the matchmaking system doesn’t have enough data to reliably make good matches. It might be that if we all just stuck with it and stayed in matchmaking instead of regularly pulling out after losing games, the system would be better able to do its job. (I’m surprised Crucible playlists don’t have a stacking “streak” buff for better loot like the Vanguard playlists have.) It could also be that I feel like I’m losing more than I am; this could partly be in my head. I’m also betting that Lord Shaxx’s onerous, seemingly endless Crucible quest is contributing some instability to Crucible in general. Many of that quest line’s objectives hinge on winning matches. That means players will be more likely to bail on losing games to save themselves time; losing teammates mid-match is almost always a guaranteed loss for anyone left behind. I’ve seen plenty of players talking about similar experiences online; most prominently in a lengthy reddit thread from last week. I asked Bungie if they could explain in more detail how matchmaking works, but couldn’t get any new answers. I thought I’d ask those of you out there what your year two PvP experience has been like. Am I crazy? Is matchmaking in fact weirder than usual? Or maybe you’ve had smooth sailing? 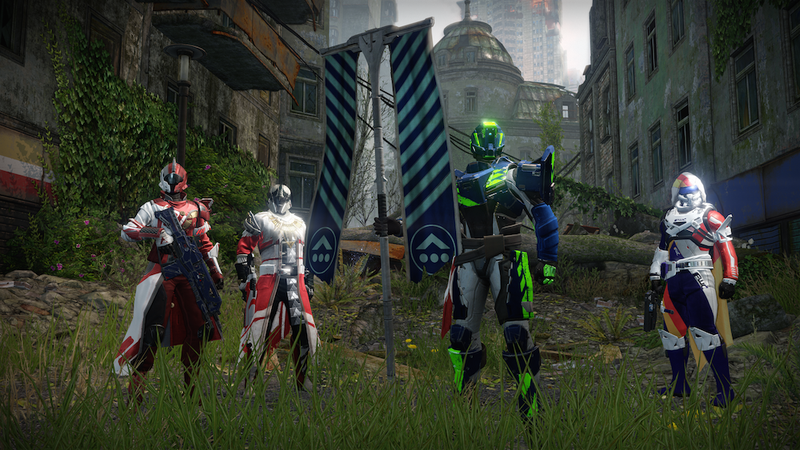 How has Destiny’s PvP matchmaking been working for you?